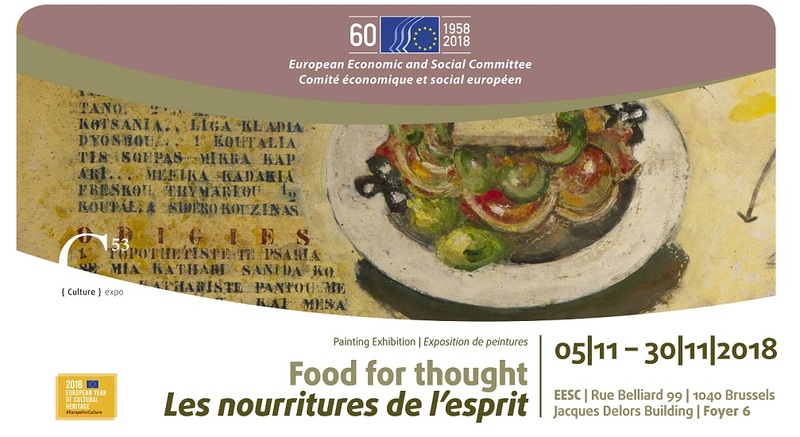 I am pleased to announce my upcoming exhibition in the headquarters of the European Economic and Social Committee in Brussels from November 05 to November 30, 2018. This exhibition features a series of oil canvas paintings. Taking the form of an “illustrated cookbook”, the exhibition offers viewers a journey through the different recipes of Europe and its purpose is to showcase Europe’s different food cultures, on the one hand, and the diversity and similarity found in European food culture, on the other.